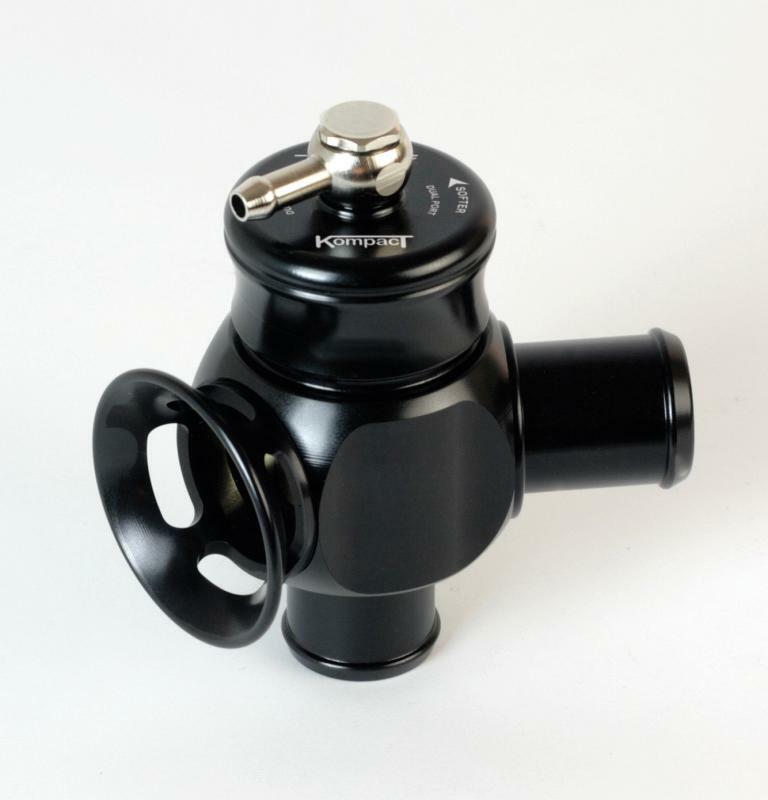 Turbosmart Blow Off Valves - Kompact Series - Dual Port MINI - Dezod Motorsports Inc - Home of the automotive performance enthusiast since 2002. The Kompact Series BOVs have been designed as a bolt-on replacement for plastic factory Bosch or Denso BOVs, the Kompact Series products offer superior flow, full adjustability and greater structural integrity under boost. Ideal for cars with constrained engine bay access like VWs, Audis, Porsches, Seats, SAABs, Mazda MX5 (Miata) and Ford XR-6T. Very popular with motorcycle drag racer. DESCRIPTION: Hybrid-type BOV. Dual Port vents both to the atmosphere and back into the air intake. Dual ports with sequential timing allow quieter operation during normal driving, while getting all the benefits of a Supersonic BOV under race conditions. Easily converted to a fully atmo or fully bypass unit. APPLICATION: Fits most cars using the factory BOSCH or DENSO bypass valves. Available in 20mm and 25mm outlet diameters. SUPPLIED WITH: Pictorial fitting instructions and a blanking plug.